By going online, one can learn the address for at least one New York City junkie, a “bead junkie.” Her name is Janet Akie Masamitsu, and she makes the Janet Sterling Silver Designs. Working at her studio on 15th Street, Janet combines her skills as a silversmith with her love for beads. Since 1997, she has managed to design jewelry that is both affordable and fashionable. Janet’s small jewelry boutique on 15th Street gets many customers from the surrounding Chelsea District. While that boutique does have a few higher-priced pieces, most of the jewelry with one of Janet’s designs costs between $50 and $150. In order to create some of those designs, Janet had to cast pieces of metals. For other designs, she toiled over hand wrought metal. 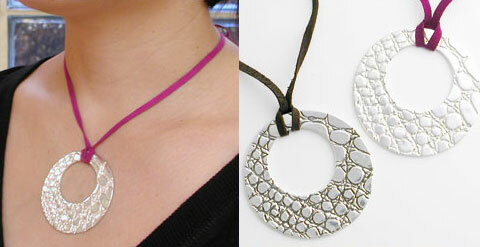 Because Janet loves beads, she incorporates beads into many of her designs. A number of her designs also contain crystals, pieces of Japanese glass, semi precious stones and luscious gems. She has even introduced a line of jewelry that has been crafted from 14K Vermeil. The growing popularity of Janet’s sterling silver designs has saved a number of New Yorkers a trip over to Chelsea. One day, Meredith Vieira wore some jewelry designed by Janet on “The View.” More recently, Janet has appeared on TV, explaining her personal designs to viewers of “Isaac,” on the Style! Network. The young girl who was born in Japan and grew up in Honolulu, Hawaii has designed jewelry for Cyndi Lauper, Phatom Planet and Jeffrey Gaines. Yet Janet did not study jewelry-making when she was an undergraduate student at Santa Clara University. During those undergraduate years, she majored in History, and chose Art History as a minor. After graduating from Santa Clara University, Janet became a teacher. In addition to sharing her knowledge with her students, Janet sought to expand her knowledge. As a student at New York University, she pursued an MA in Gender Politics. Still, she continued to spend her free time making jewelry. Today Janet devotes the bulk of her time to designing and making jewelry. Of course, she can no longer set aside enough time to put her personal touch on every jewelry piece sold as part of Janet Sterling Silver Designs. Janet is now married, and she has a baby to care for. Janet’s assistant, Vicky makes most of the beaded jewelry. Yet Janet’s customers can feel assured that Janet herself does all the work that requires the skills of a silversmith. Janet puts-forth more than 90% of the design concepts used in her unique pieces of jewelry. 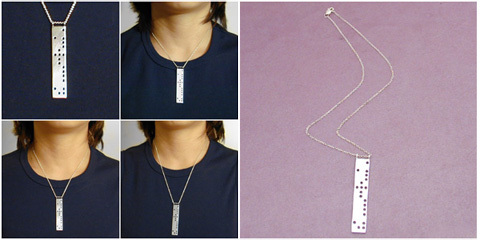 Occasionally, Janet and Vicky work together to create a fashionable and affordable piece of jewelry. 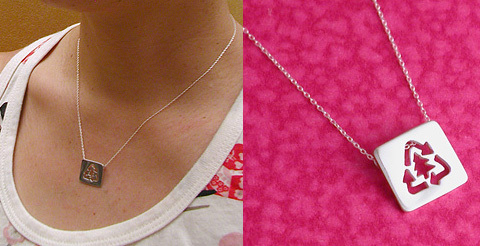 Some of those pieces are captured on film, so that their photos can be posted on janetjewelry.com. Thanks to that website, a growing number of people have chosen to wear one or more of Janet’s many stylish jewelry pieces. 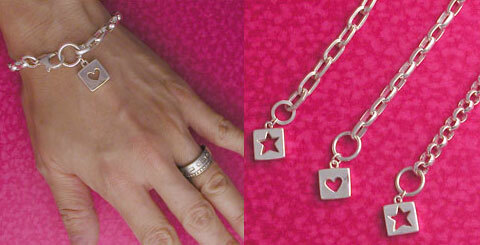 Today the residents of New York City share with people the world over their love for Janet Sterling Silver Designs.